Pneumatic cylinder / double-acting / double-rod / piston - 6E ISO 15552 - Cy.Pag. S.r.l. Power Transmission - Mechanical components > Actuator and Positioning System > Pneumatic cylinder > Cy.Pag. S.r.l. 6E ISO 15552 Cy.Pag. S.r.l. Cylinders constructed according to ISO15552 standard, fully in AISI316 stainless steel, available in bores 32mm to 200mm. Available in single or through piston rod versions, with PU seals suitable for applications in the food, chemical, pharmaceutical and medical industry. On request it is possible to obtain the cylinders with FKM seals for high temperatures (-20 ° C | + 150 ° C) or for low temperatures (-40 ° C | + 80 ° C), and special versions. 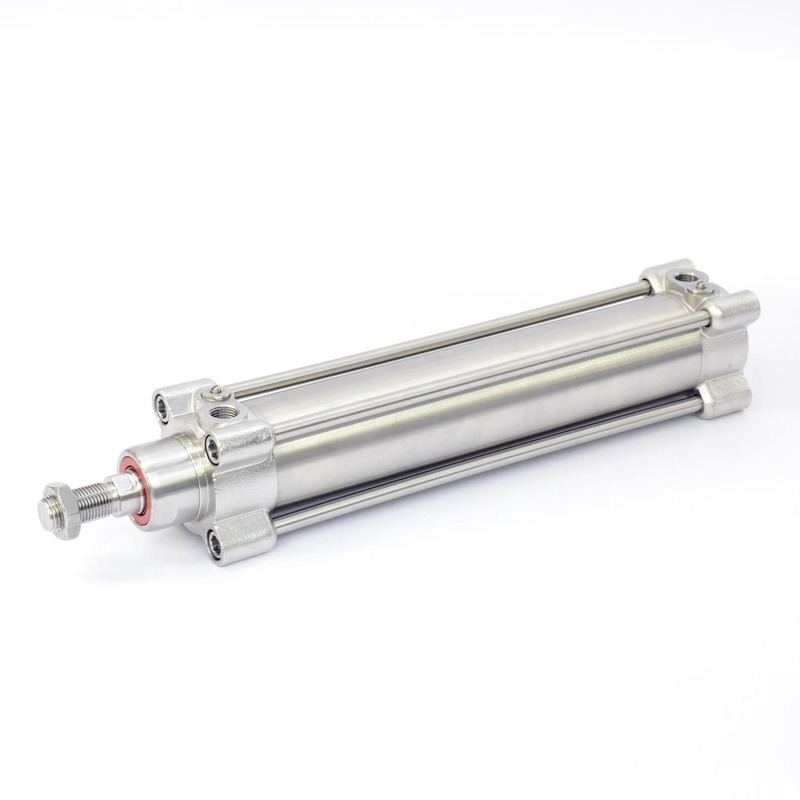 The 6E series cylinders comply with the FDA Directive Sect. 21 CFR 178 (reg. NSF H1), due to the use of a suitable synthetic grease. The 6E series is completed by a wide range of fixing accessories made of stainless steel. On request, cylinders can be supplied in accordance with Directive 2014/34 / EU ATEX.